Hugh Jackman lovers rejoice: the beloved Australian actor has announced he's going on a massive worldwide tour. The former Wolverine actor stopped by the set of Today to make the big announcement, which he had teased a few days prior. This is the first time that Jackman has ever toured the world and he will be playing massive arenas, typically reserved for the world's biggest music stars, such as Madison Square Garden. Prior to actually making the announcement, many had done some hopeful speculating that this could possibly be related to him coming out of retirement as Wolverine following last year's Logan, possibly for a team-up with Ryan Reynolds as Deadpool. Prior to actually dropping the news, Hugh Jackman even joked, "It's not Wolverine the musical." Here's what the actor had to say about his upcoming endeavor. "I am doing a big arena tour. This is a dream come true for me. I've done it in Australia but now I'm going around the world. I'm going to cities all over America, we're going to Europe, we're going to to the U.K., we're going back to Australia and New Zealand. I'm singing, I'm dancing, I'm telling stories." The tour is titled The Man. The Music. The Show. 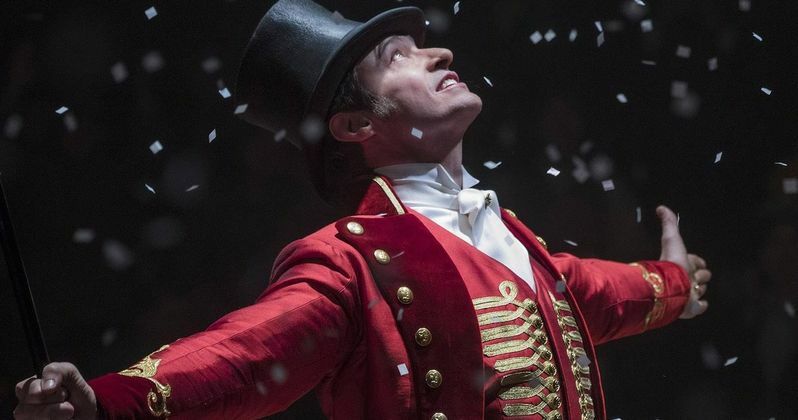 While this is technically a one man show, Hugh Jackman did make a point that this is going to involve a 26 piece orchestra and "about 30 singers and dancers." So he certainly won't be embarking on this alone. As for what those who attend can expect? This show will cover his entire life up to this point in his life and he'll be singing and dancing his way through some of the most significant moments of his career. Jackman explained a bit in terms of what we can expect. "I'm on the back nine of my life now and this is about the front nine. The best parts of the front nine. So I'm going to sing stuff from Greatest Showman, from Les Mis, stuff I've done on Broadway, Boy From Oz. Or stuff that I auditioned for that I didn't get cast for. I'm going to tell stories. I don't know about you guys, but I love going to a concert and I feel something happens that night that could only happen that night. I try to keep it loose. I have special guests...I'm just going to have a party." It may not be the return of Wolverine, but this still sounds like something quite a few people will enjoy. Hugh Jackman has been training quite a bit in preparation for The Man. The Music. The Show., which kicks off on June 18, 2019, in Houston, Texas. Most of the tickets for these shows will go on sale Starting December 7, with the Madison Square Garden shows in New York set to go on sale December 10. Feel free to check out the interview clip with Jackman from the Today YouTube channel below.